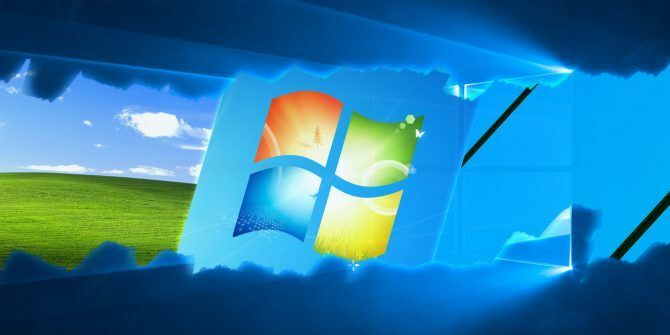 Microsoft has made a change to Windows 7 that might affect your ability to receive important updates. Here’s what you should know and how to stay protected. In early 2018, security researchers discovered two major CPU vulnerabilities called Meltdown and Spectre Meltdown and Spectre Leave Every CPU Vulnerable to Attack Meltdown and Spectre Leave Every CPU Vulnerable to Attack A huge security flaw with Intel CPUs has been uncovered. Meltdown and Spectre are two new vulnerabilities that affect the CPU. You ARE affected. What can you do about it? Read More . To partially address these issues, Microsoft rolled out patches via Windows Update. However, many antivirus apps weren’t compatible with these updates, which ended up crashing people’s computers. Because of this, Windows Update now won’t install the relevant patch unless the antivirus manufacturer sets a Registry key confirming its software is compatible with the update. The problem is that computers without this key running Windows 7 or 8.1 won’t receive any other Windows updates, either. If you don’t have an antivirus installed, there’s nothing to set this Registry key. This means your computer won’t receive important security updates even though there’s no antivirus incompatibility to worry about. Windows 8.1 has Windows Defender built in, so this is a particular problem for Windows 7 that ships without an antivirus. While we recommend using an antivirus Top Free Antivirus Apps Without Nag Screens and Bloatware Top Free Antivirus Apps Without Nag Screens and Bloatware Nagging antivirus apps are a huge pain. You don't have to put up with them, even for free. Here are the best antivirus programs that don't come with popups or bundled junk. Read More , it’s even worse to go without Windows updates. Here’s how to set the Registry key manually if you don’t want to use an antirivus. Note that if you’re on Windows 10, this issue doesn’t affect you. Type regedit into the Start Menu and press Enter. Remember to take care while in the Registry How Not to Accidentally Mess Up the Windows Registry How Not to Accidentally Mess Up the Windows Registry Working with the Windows registry? Take note of these tips, and you'll be much less likely to do lasting damage to your PC. Read More . Browse to the following key. If you don’t see it, you’ll need to create it under the CurrentVersion key by right-clicking it and choosing New > Key. Leave its value as the default, and close the Registry Editor. Restart your computer, and Windows should allow you to install updates again. Type Windows Update into the Start Menu to open it and make sure. And that’s all! You should now be getting security updates on Windows 7 even without an antivirus. Explore more about: Windows 7, Windows Update. I followed your instructions, but there is still no smiley face on the online keyboard.